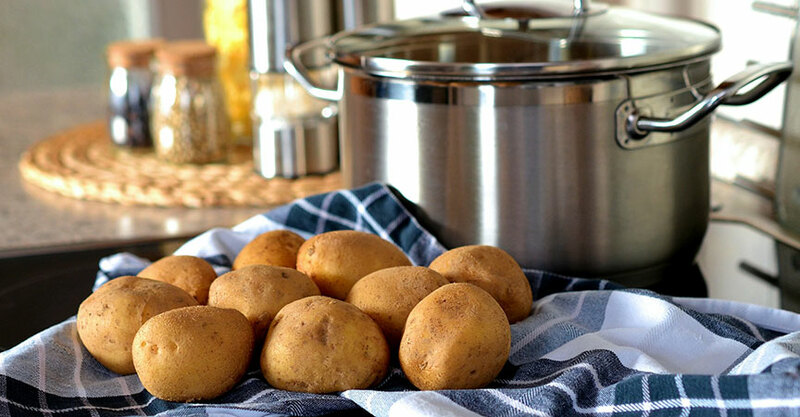 Fill a dutch oven (or stock pot) with enough water to cover an inch of the potatoes. Boil for about 6-7 minutes until soft. They do not need to be cooked through yet. Drain the pot and set potatoes aside.